Game design is the game development process of designing the content and rules of a game in the pre-production stage and design of gameplay, environment, storyline, and characters during production stage. The designer of a game is very much like the director of a film; the designer is the visionary of the game and controls the artistic and technical elements of the game in fulfillment of their vision. Game design requires artistic and technical competence as well as writing skills. Game designers will use a Game Design Document (GDD). The GDD will be the bible which your team follows during pre-production and production of the game. So What Is Inside A Great GDD? The purpose of design documentation is to express the vision for the game, describe the contents, and present a plan for implementation. A design document is where the producer preaches the goal, through which the designers champion their ideas, and from which the artists and programmers get their instructions and express their expertise. Unfortunately, design documents are sometimes ignored or fall short of their purpose, failing the producers, designers, artists, or programmers in one way or another. This article will help you make sure that your design document meets the needs of the project and the team. It presents guidelines for creating the various parts of a design document. These guidelines will also serve to instill procedures in your development project for ensuring the timely completion of a quality game. 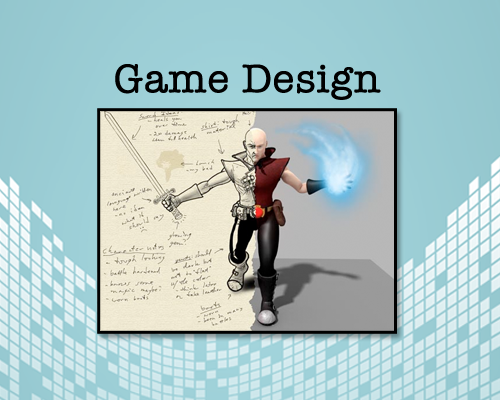 You can follow Creating a Game Design Document advice or start with an existing GDD template. Here are some great examples. Take your time and look over each. Craft your own template that works best for your needs, and the needs of your client/boss/team. As consultants we choose to do client work. The client has the idea (complete or vague), and the budget, and we help them realize their dream. With game projects, determining what will be engaging and fun is a welcome challenge. Many game developing consultants also create their own internal projects. In both cases understanding the principles of good game design can turn a good idea into a great game. Game designers will use a Game Design Document. The GDD will be the bible which your team follows during pre-production and production of the game. 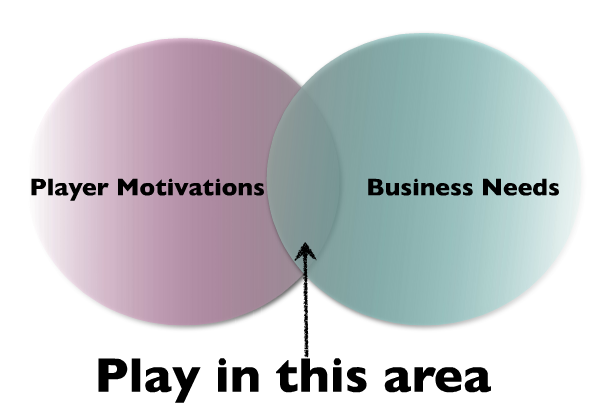 Separate from games and game design is gamification. Its a newer buzzword in the industry and many clients, big and small are clamoring for this ‘new shiny thing.’ Gamification is the use of game design techniques, game thinking and game mechanics to enhance non-game contexts. 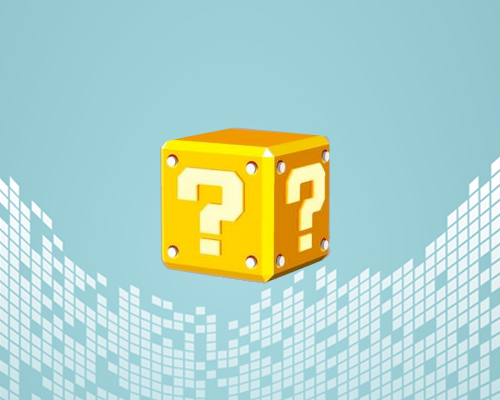 Update: My new articles launched on “What is Gamification?“. I am constantly dreaming up new ideas for games. Sometimes I think about it for just 5 minutes, and then the itch goes away. Other times an idea stays with me for years. I’m often just as excited to see someone else create the game (so I can play it!) as I am to create the game myself. In the near future, I’ll publish a few of my game idea prototypes to share my concise process game game design. Update: My new articles launched on “Game Design Prototypes“. Game designer John Adamus describes the The Three Act Exercise For Game Design. You’re going to want a piece of paper for this. I like legal pads, but you’ll definitely want to see the work outside of a monitor. Divide the paper into thirds (horizontally); Act 1, Act 2, & Act 3. Start simple. We’re going to chart the basic player’s (ideal) experience in-game. Act 1 – This is all things creation and introductory. Players should in theory develop themselves (conceptually, and mechanically) and learn about the basics of the world. Immersion here is critical, as no one wants to play a game where the rules are either too vague, too restrictive or too discouraging (i.e. railroading). In story context, this is where adventure/campaign plots are hatched and world-base concepts (“the feel of the world”) is born. Act 1 ends when the Players enter the most intense and forward-progressive drive in the plot. Act 2 – Characters by this point are INTO a plot/campaign, and are developing forward according to their brought-in goals (things they brought to the table) as well as open-goals (things the game offers). Combat here is more common, and risk is also introduced. This is also the largest Act of play, generally being 1.5 or 2 times larger than Act 1. Should the game be episodic, serialized or weekly, it will be so because of a long Act 2 that offers either complexity (lots of small steps put together) or intensity (there’s so much to do and it takes time) or potential (lots to do, of mixed length). Act 2 ends when they feel prepared to finish the plot or wrap up significant material in the campaign. Act 3 – This endgame is the shortest but is often the most mechanically driven of all the acts. It begins when the characters make that final push towards resolution, and ends when the conflict(s) introduced in Act 1 are resolved. They may not, and need not be resolved in a way satisfying to the character, (although the player will be satisfied in all but the most power-gamer circumstances). Like any good creative process, we work iteratively with these ideas. Create TONS of ideas. Some are best fit to stay on the drawing board. Other ideas show enough promise to be prototyped. With limited time budget a small team can communicate the bare essence of the game in a simple, concise, playable demo. Ludum Dare is a well known incubator for game designers to brainstorm AND implement new game ideas. It is a regular accelerated game development Event. Participants develop games from scratch in a weekend, based on a theme suggested by community. Ludum Dare was founded by Geoff Howland, and held it’s first competition in April of 2002. Since then the community has run more than 22 regular Events, several dozens of practice competitions, collectively creating many thousands of games in just a weekend each. The event attracts developers from all sides of the industry. Students, hobbyists, industry professionals from many well respected game studios, as well as many independent game developers. For many people, it can be difficult to find or make the time create a game or prototype for yourself. We’re here to be your excuse. Here is an AMAZING COLLECTION of game design information. It is very thorough. Start there. And here are some helpful links courtesy of The Upside Learning. Dan Lockton about 11 ways to increase engagement using ‘gamey’ ways. Here is Katie Salen speaking about how game design can be applied in the classroom. An older but still relevant article about learning curves in games. Again an older but comprehensive article that gives great ideas on where to use learning games. Note the references. An excellent article on Creating Flow, Motivation and Fun in Learning Games. Barbara Chamberlin, with the NMSU Learning Games Lab, shares the Educational Game Design Model developed at NMSU. Addresses various aspects of the process of game development. This paper from UCLA focuses on how to effectively integrate teaching “how to play a game” with teaching an “instructional domain” within a game for learning. Has many interesting details relevant to game design, recommended reading. This is a great article on the use of narrative in learning games. Describes narrative approaches, some of which are appropriate to learning. This is a nice paper on feedback loops in learning by Bert Snow and Matt Seegmiller. There is a bit of a marketing slant, but interesting points about which technology to support a feedback approach. An interesting presentation from Sharon Boller, great advice from the trenches of gamification. Foursquare, Zynga, Nike+, and Groupon are some of the brands who use gamification to deliver a sticky, viral, and engaging experience to their customers. Each understands how core game mechanics such as points, badges, levels, challenges, and leaderboards will engage your consumers with reward structures, positive reinforcement, and feedback loops. Combine game mechanics with social interaction for activities such as collecting, gifting, heroism, and status. Advergaming – combining advertising and gaming – has been in heavy use for over a decade. It is generally a fun game with ads thrown on top. Gamification suggests a something deeper. Gamification is the use of game design techniques, game thinking and game mechanics to enhance non-game contexts. The term is used more and more as the mainstream accept gaming as a defacto form of media and many look to see how it can be used outside of pure entertainment. The discussion reminds me of serious games. A serious game is a game designed for a primary purpose other than pure entertainment. The “serious” adjective is generally prepended to refer to products used by industries like defense, education, scientific exploration, health care, emergency management, city planning, engineering, religion, and politics. RMC is available and excited to collaborate on more gamification projects. With over a decade of gaming experience on browser and mobile, RMC can successfully combine the wining formula of gaming with your educational, marketing, or training needs. Here is some more great information. Gamification Theory and Practice: Fun is the Future. Wow, this is one is fantastic!